Tech Transformation: A mistake, a detour or a new path? A mistake, a detour or a new path? 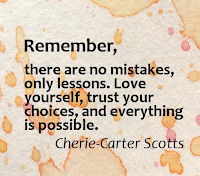 When I was a 5th Grade teacher I used to have a class web site, and one year the title of the weekly updates page was "There are no mistakes, only lessons". At the time I didn't know where this quote came from, but I thought it was a good one for my class. Working at PYP schools we often talk about the attributes of the IB Learner Profile - one of which is risk-taker. 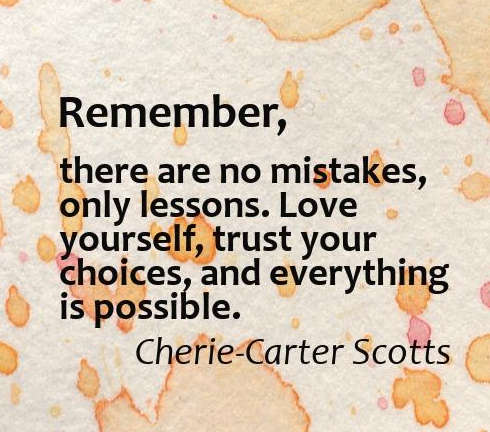 As a risk-taker you know that not everything you try is going to work out the way you thought it might, but that even when it doesn't you will learn from the experience. As teachers who encourage risk-taking, we hope that if a child experiences failure that they will also learn resilience. We need to know that we can't step in to prevent failure - in fact we shouldn't if the students are the ones who truly own the learning. Giving up this control of the situation encourages the students to develop self-reliance. Now some people go even further. This is what Gary Stager refers to as "fetishing failure". There are many teachers who actually advocate letting kids experience failure as a way of learning a valuable lesson. Gary doesn't agree with this philosophy at all because he writes that failure is judgement - it is punitive and high-stakes. He claims that it is not necessary because in an iterative design cycle the emphasis is not on learning from failure, but on continuing to improve by keeping the things that work and changing the things that don't. He agrees with the quote above by saying that this is not failure, this is learning, and that students are very capable of looking at what they have done and deciding if this latest iteration is a mistake, a detour or a completely new path.